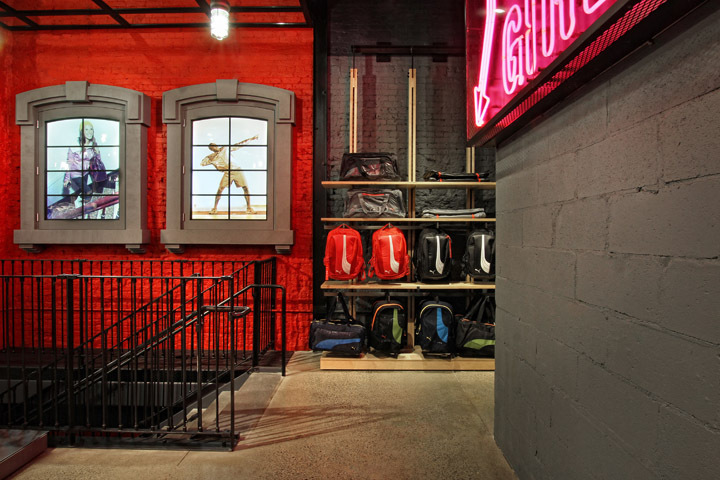 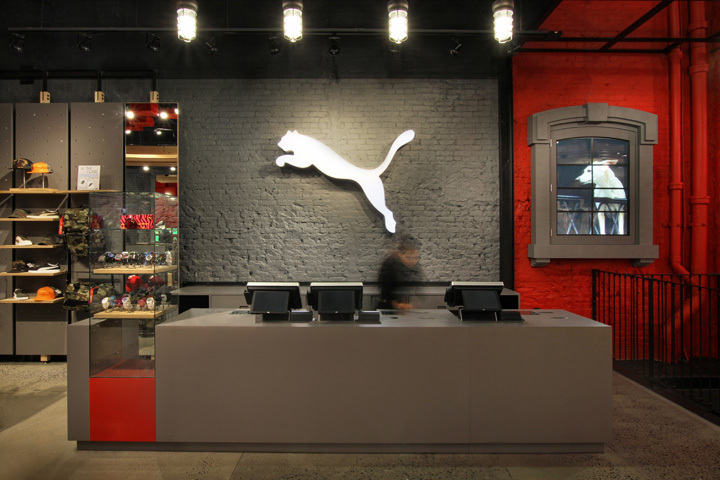 At the PUMA SoHo location, Colkitt & Co created a design theme that engages consumers in a memorable shopping experience the moment they step in the door, also nodding to the unique personality of the PUMA brand. 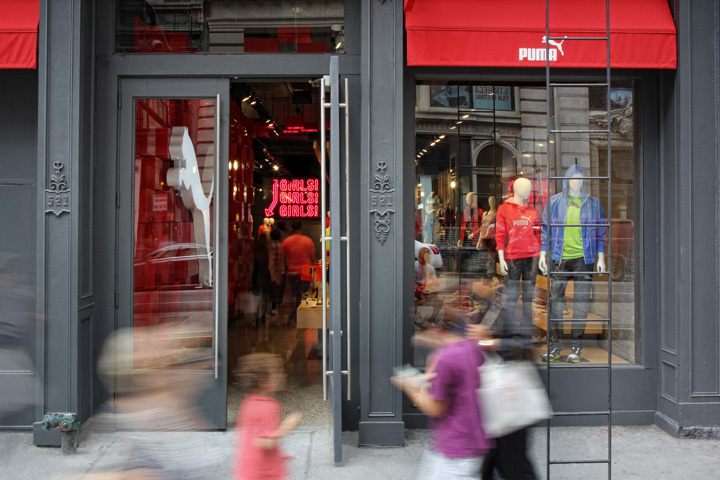 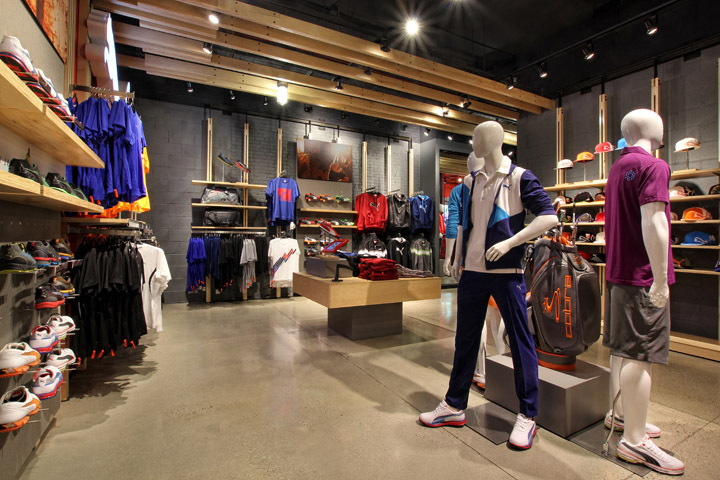 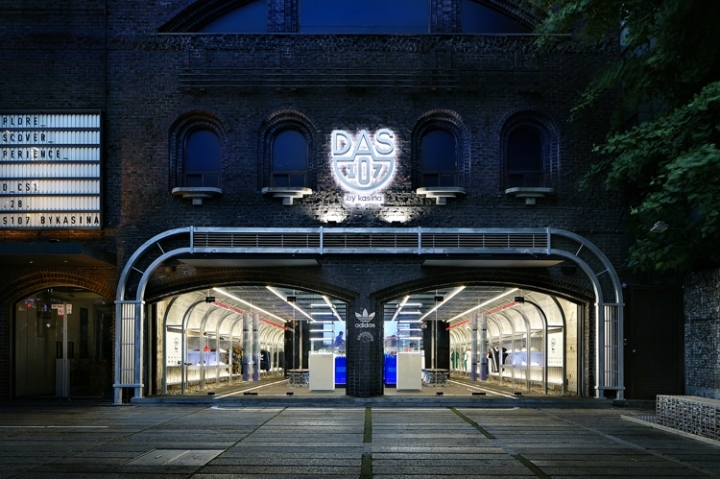 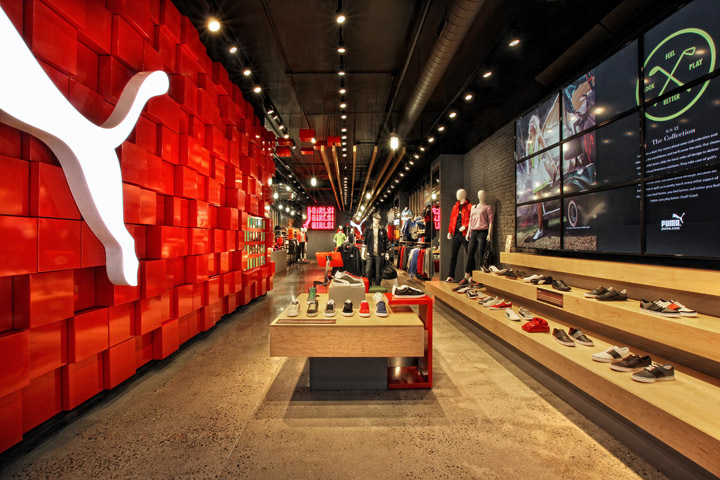 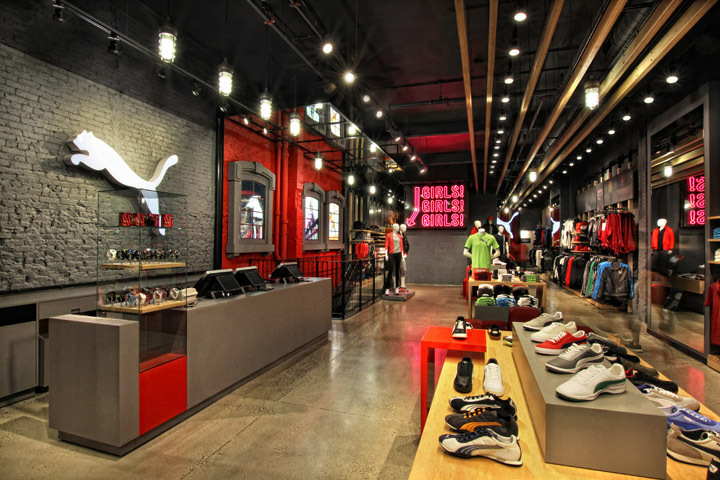 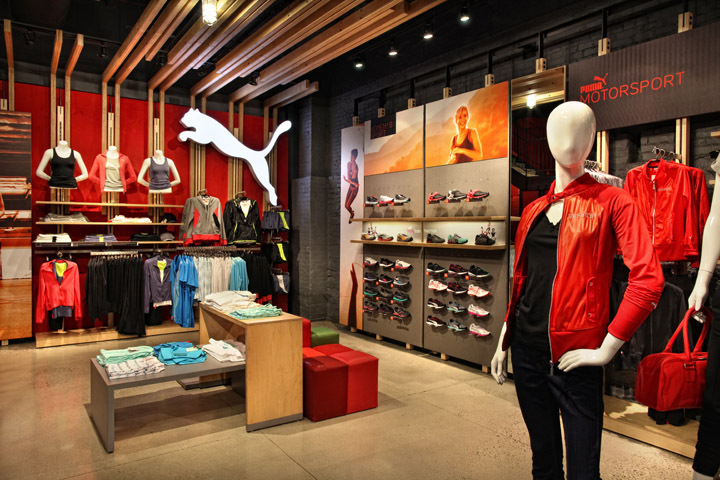 “Each design element results in a distinctive twist that incorporates local influences, regional culture, as well as global features coming straight from the heart of the brand,” said Nathan Lee Colkitt, principal and CEO of Colkitt & Co.
Other playful features, known as “Redworld”, are spread throughout the store including PUMA phones with playful messages, and iPads with videos. 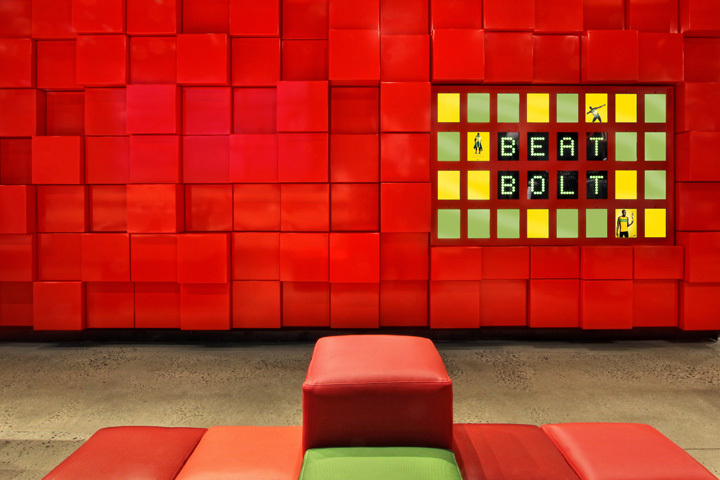 Secondary elements include directional wood slats, neon lighting, pixelated red branding walls, exposed concrete floors, existing granite and brick walls, cast iron details, and custom tile mosaics. 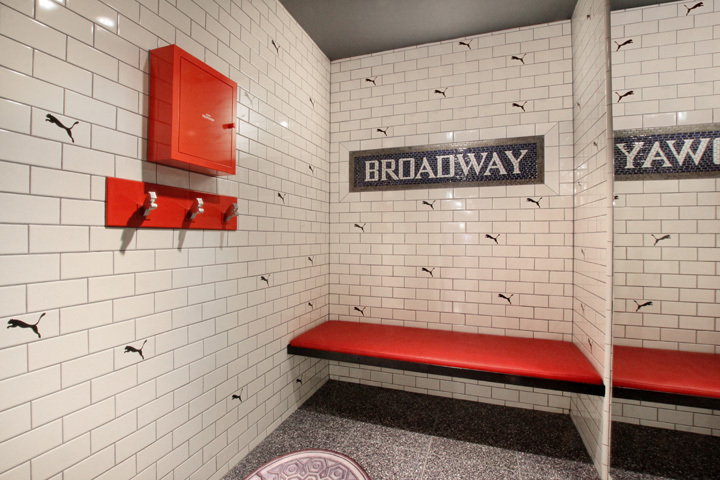 Everything, even down to the fitting rooms, mimic big city life as Imagine Tile, the industry leader pioneering the use of high-resolution imagery on commercially-rated ceramic tile, was brought in to create custom tiles allowing customers to step into popular “subway stops” while trying on merchandise. 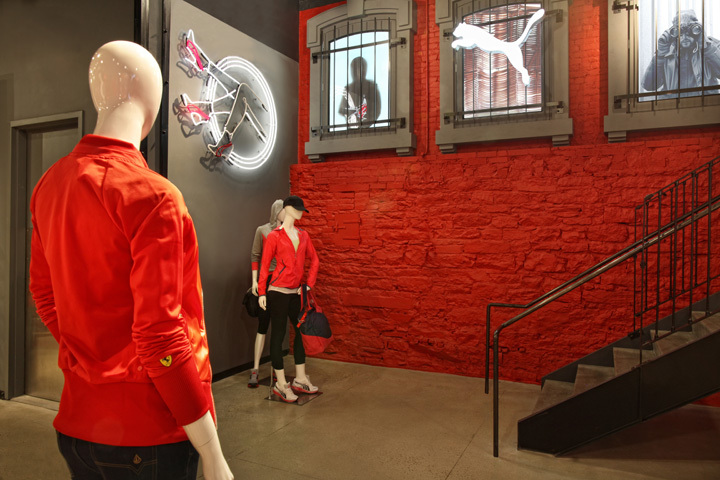 One of the special challenges presented to the design team was to address the store’s previous ground floor and basement condition. 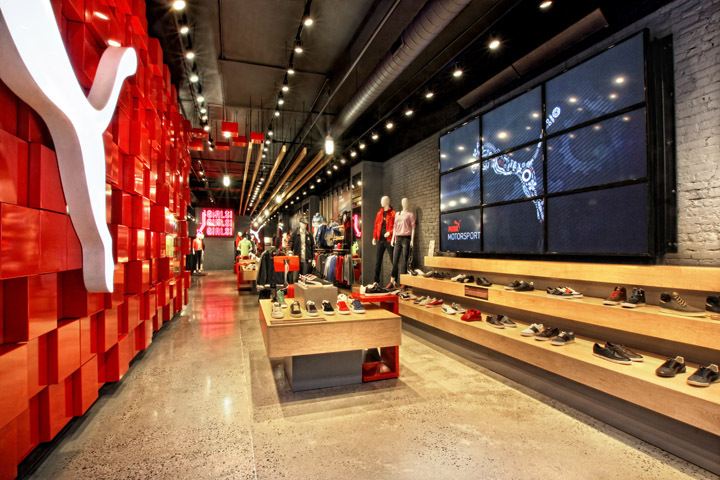 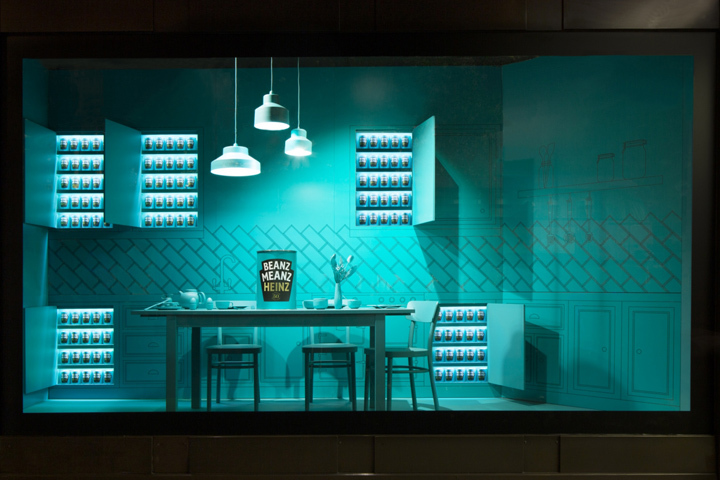 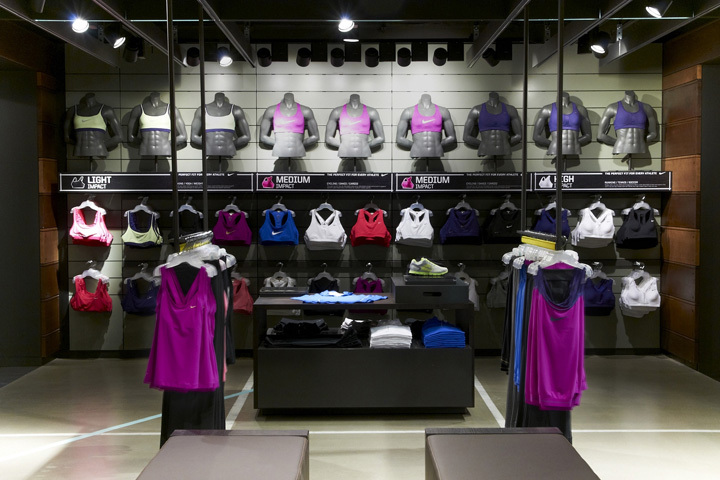 Colkitt & Co created a visual way finding system to facilitate navigation throughout the store. 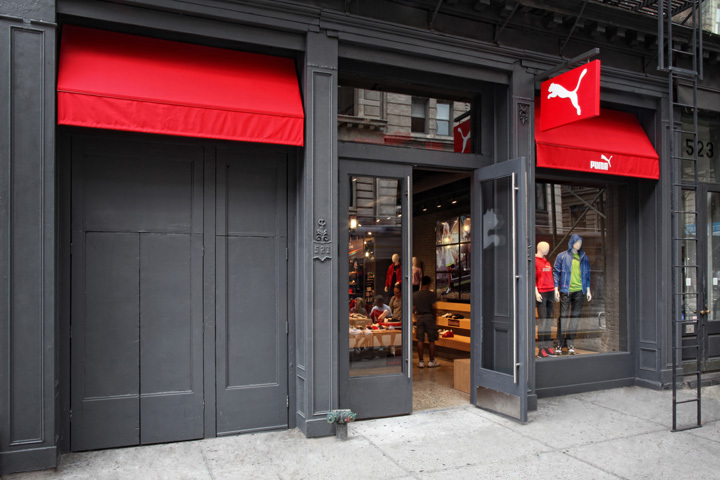 For example, signs such as “Kicking Legs” and “Girls, Girls, Girls” direct customers to the lower level with women’s merchandise, as well as light heartedly reference cabarets which used to be found in iconic places such as Time’s Square and the East Village of New York City. 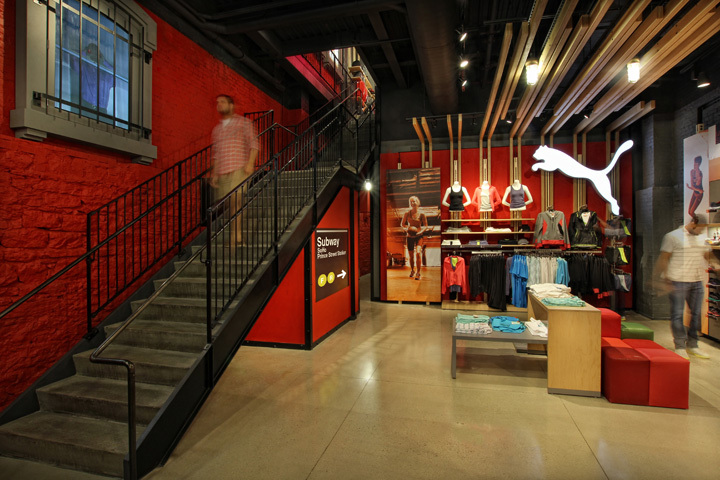 “We wanted everything down to the fitting rooms to be very immersive, resonate with the local city to bring that light into the space, and really create an interactive environment,” said Colkitt.